The Austrian hyper-vehicle maker Milan has introduced 99 models of Red models. 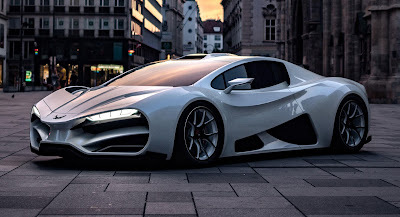 A vehicle of 2 million Euros can speed over 400 km / h.
Given the number of people who can give a few million cars a car, the hyper car production market is a bit crowded. However, Austrian auto maker Milan thinks it can offer something different to its rich customers through its new Red hyper. The low-profile sports car produces 1307 horsepower and 1400 Newton meters of torque with a four-turbo 6.2-liter V8 engine. So the vehicle can go from 0 to 100 in 2.47 seconds. Red's maximum speed is said to be over 400 km / h.
The hyper car is named after the red raven, the ravenous bird. This animal's name in German is Rotmilan. Like many raptor birds, Milan Red aims to be as light as possible. The manufacturer says that this machine will only weigh 1300 kg thanks to the carbon fiber construction. The suspension is also made from carbon fiber. Milan says this practice is the first in cars to go out on the road. Red seems to give priority to functionality. The front, rear, and large air vents on the side seem to serve one purpose, but at the same time preventing the appearance of the exterior make-up style from appearing as one piece. Milan has not yet shared a photo of the vehicle, but at the front panel of the vehicle, the driver says that it will be a pointer showing a heart rhythm. Interesting but unnecessary feature. Milan plans to produce only 99 of these cars and sell each vehicle for 2 million euros (11.7 million liras). The company says it has already received 18 orders. 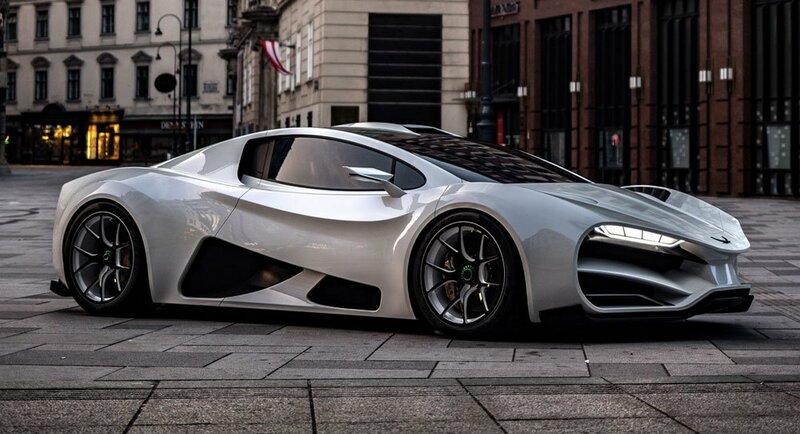 Milan wants this vehicle to represent the best Austrian engineering. In addition to producing the vehicle in the country for this, they work with motor sports specialists from the country, such as AVL and Pankl Racing Systems.